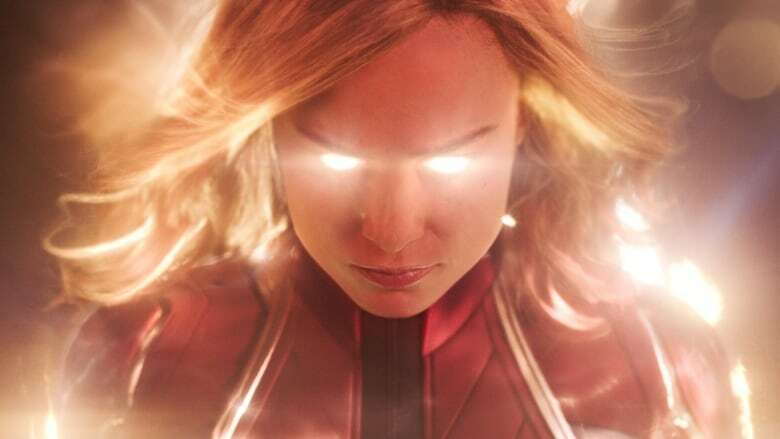 Captain Marvel, the Marvel Studios movie starring Brie Larson, has become one of the biggest blockbusters ever led by a woman. Female power has reared up at the box office — in a big way. Captain Marvel, the Marvel Studios movie featuring Carol Danvers, has become one of the biggest blockbusters ever led by a woman. The movie, starring Brie Larson as Danvers, took in $153 million US in its first weekend in North American theatres. The total globally is $455 million. Its global launch represents the biggest ever female-fronted film, surpassing Beauty and the Beast ($357 million), according to the Hollywood Reporter. Only The Avengers movies, Black Panther, Captain America: Civil War and Iron Man 3 have opened better in the Marvel cinematic universe. Number two at the box office this past weekend was last week's leader, How to Train Your Dragon: The Hidden World, followed by A Madea Family Funeral, Lego Movie 2: The Second Part and Alita: Battle Angel. On Saturday night, Larson appeared at a movie theatre in Clifton, N.J., about 16 kilometres west of New York. The North Jersey Record reports theatre patrons at the AMC Theatre initially didn't seem to notice Larson, who was dressed in a Captain Marvel sweatsuit. But soon her appearance caused a stir, and numerous photos posted online showed her posing with fans and even serving popcorn from a concession stand.